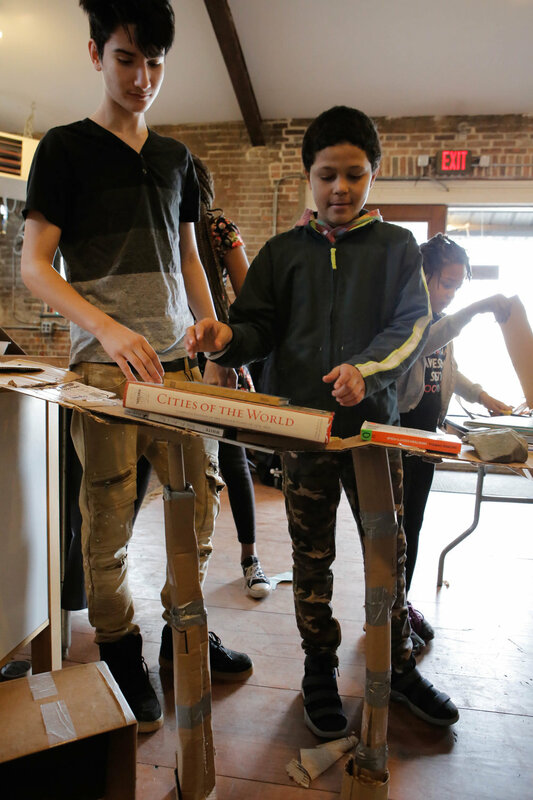 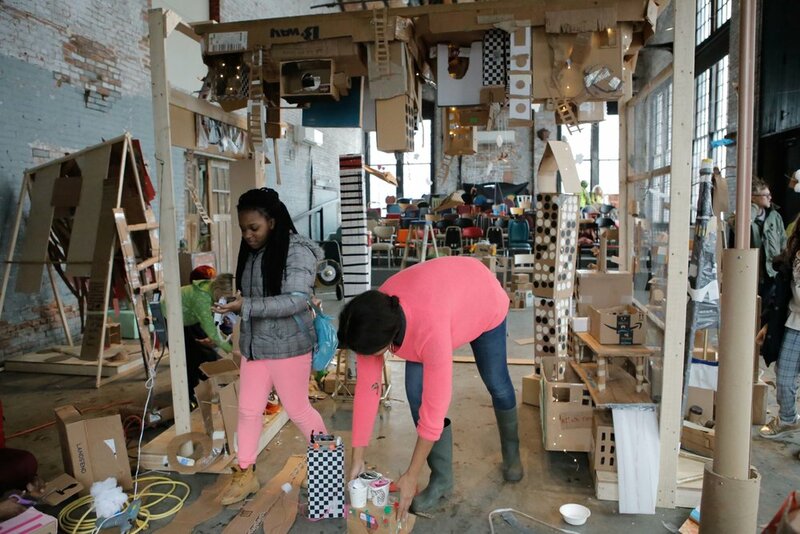 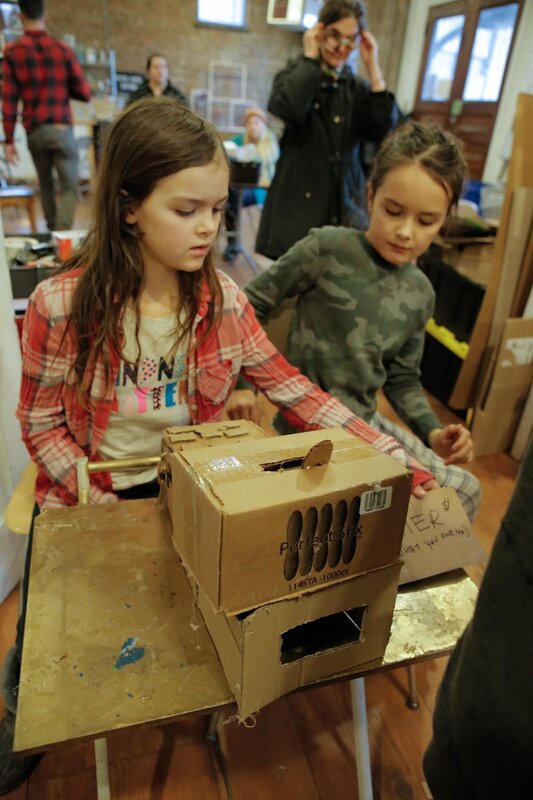 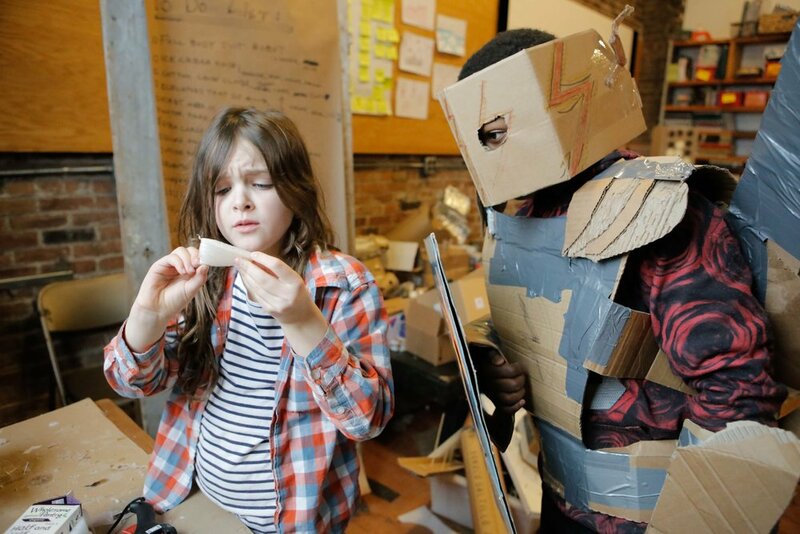 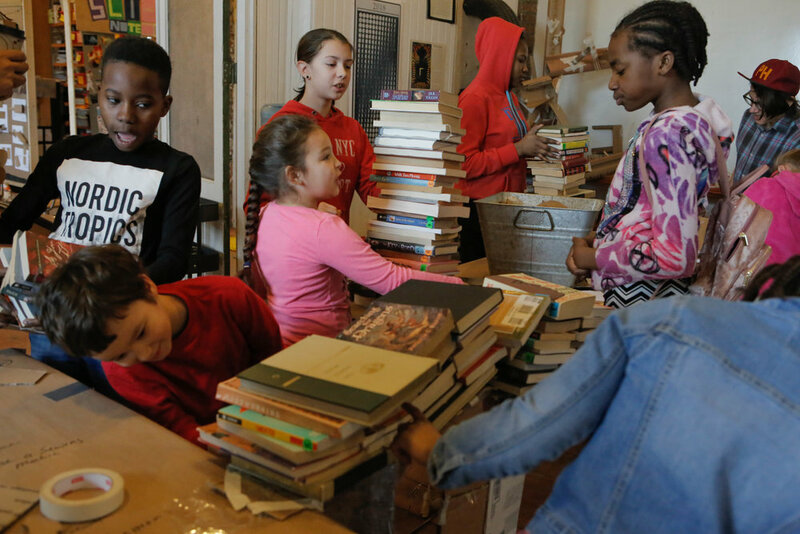 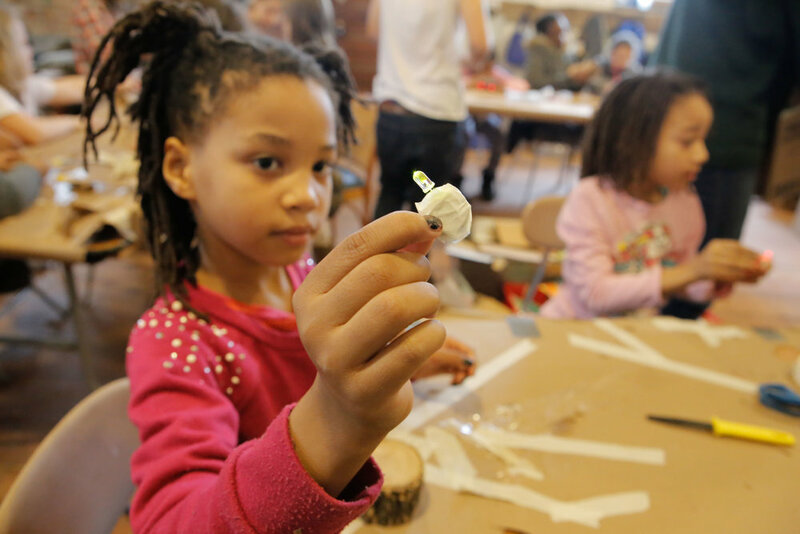 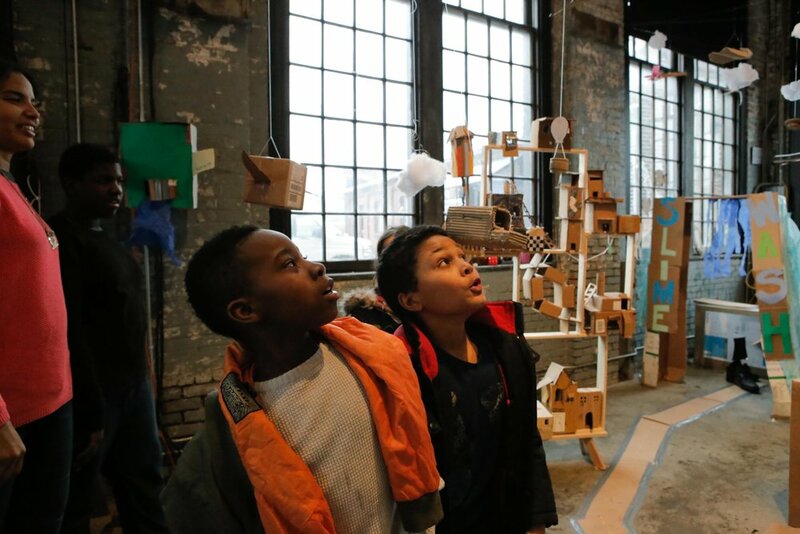 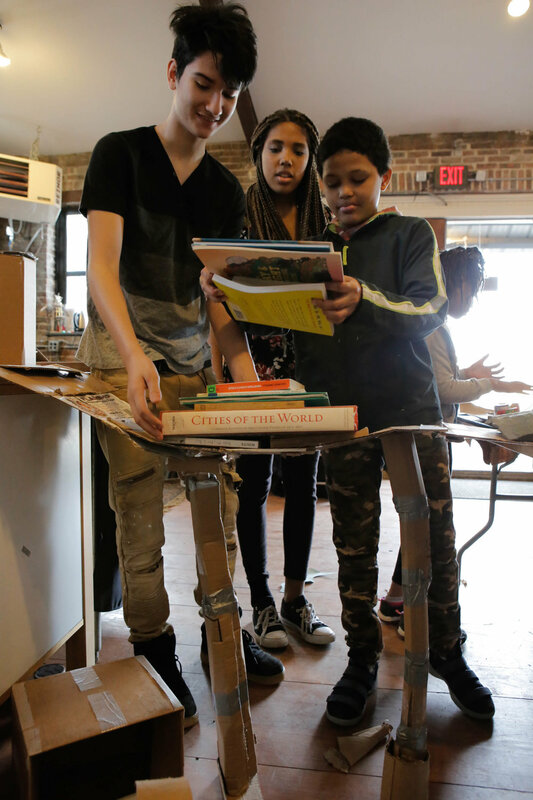 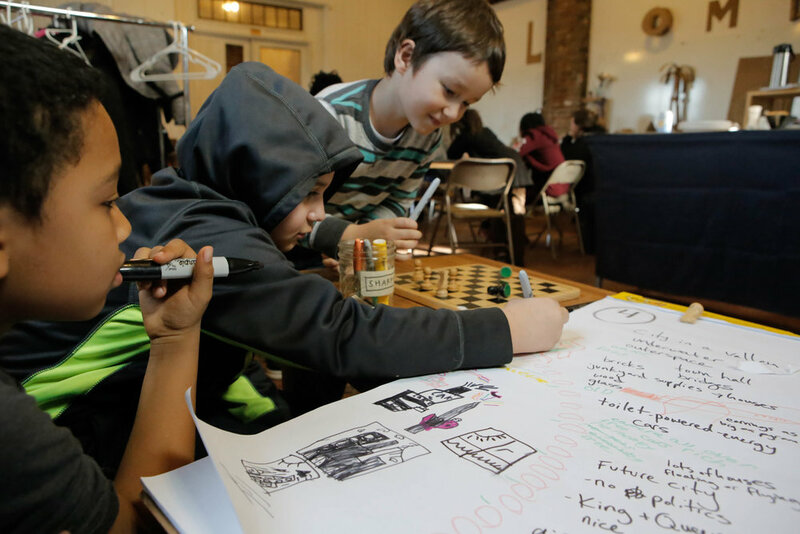 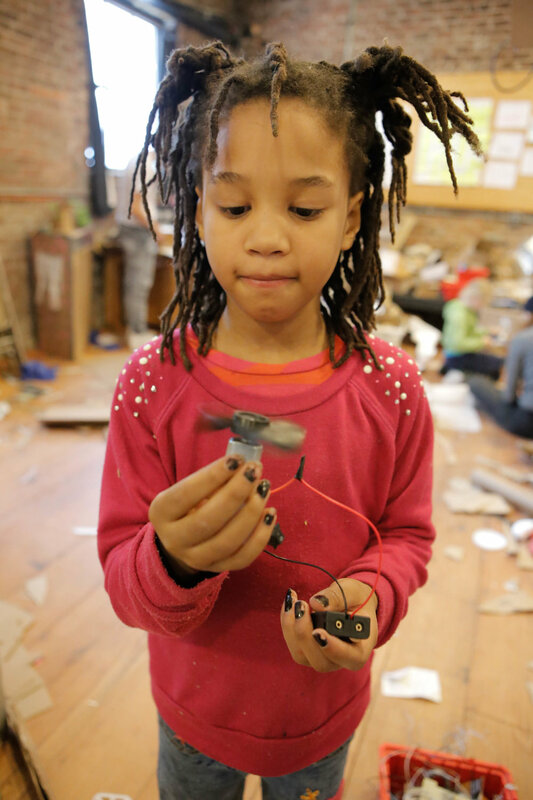 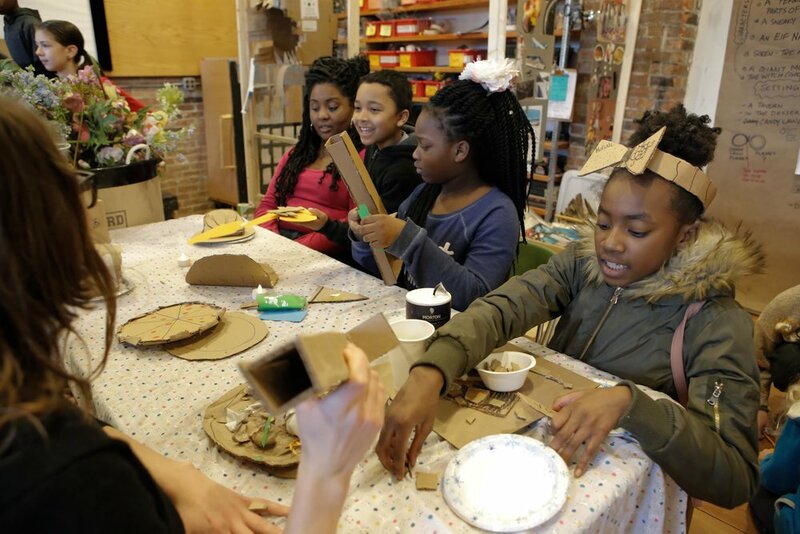 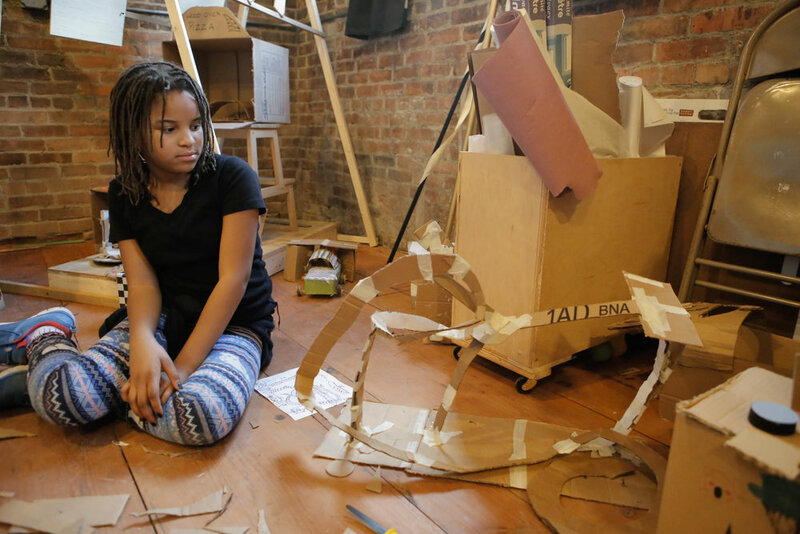 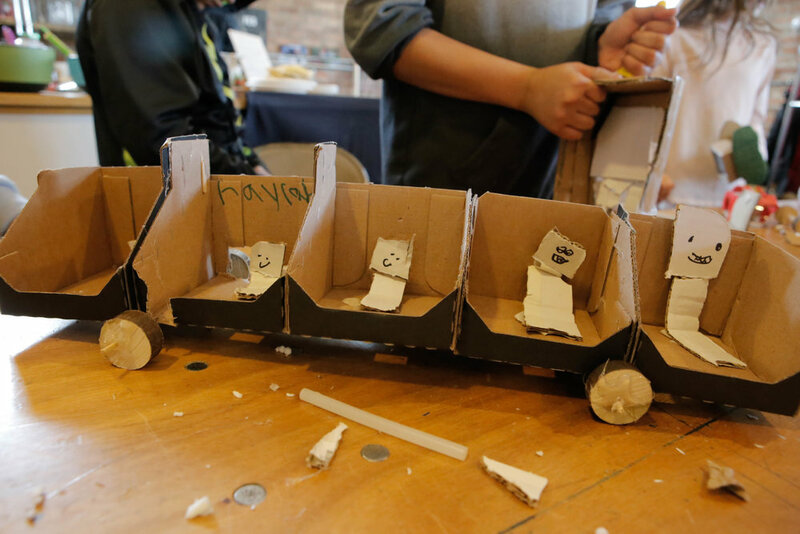 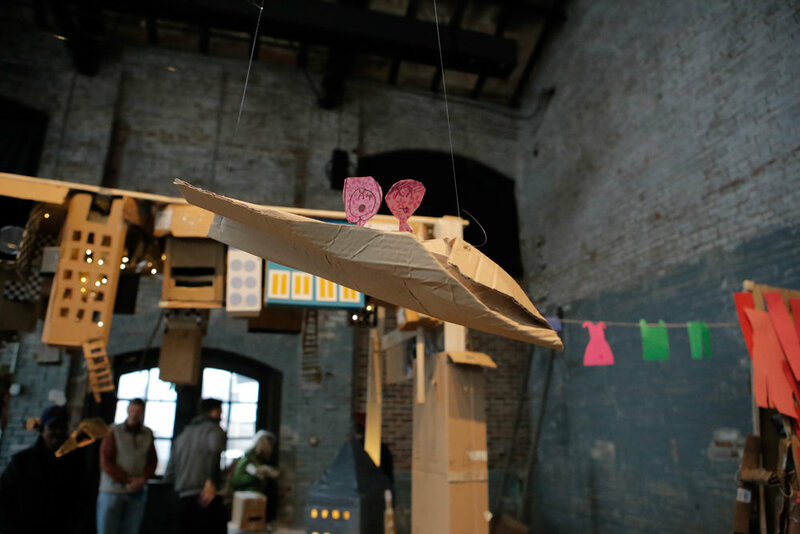 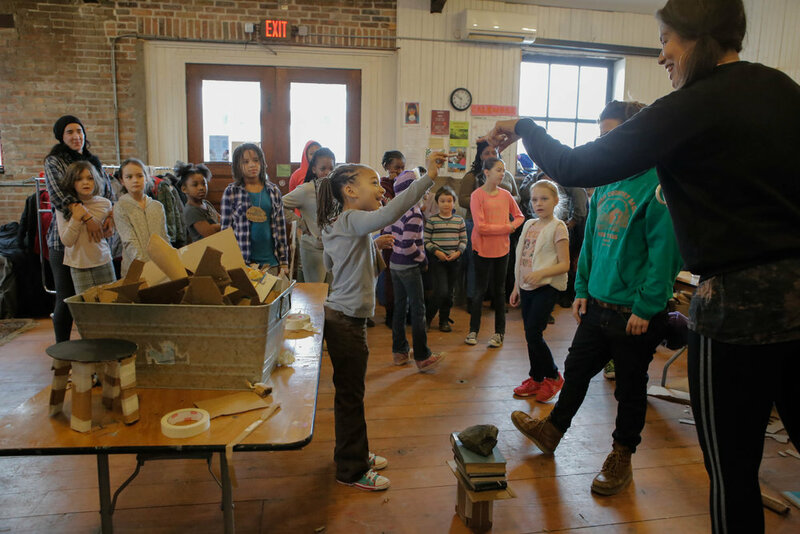 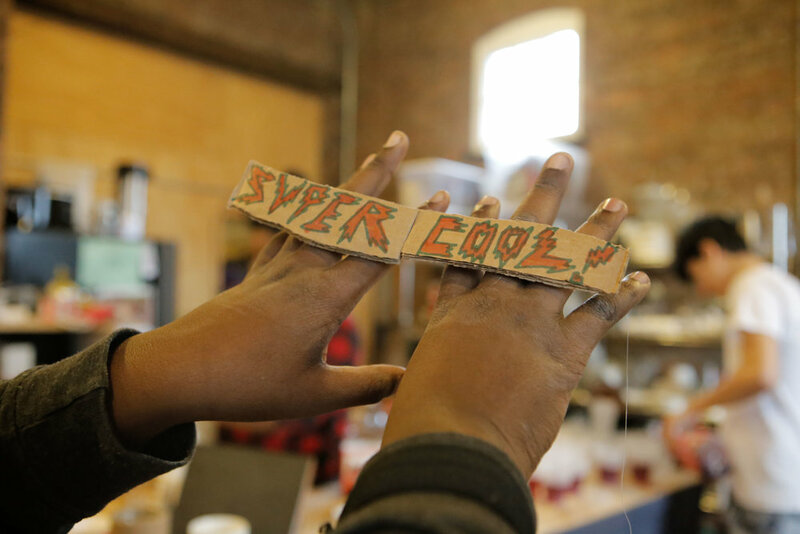 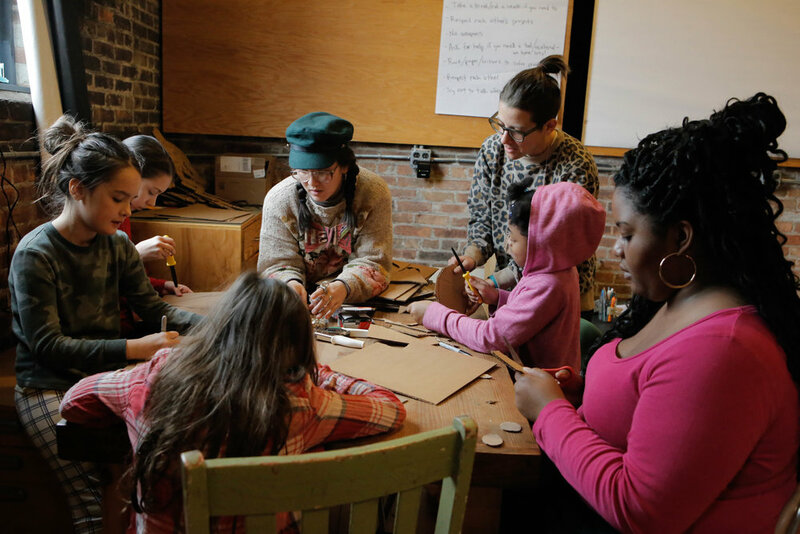 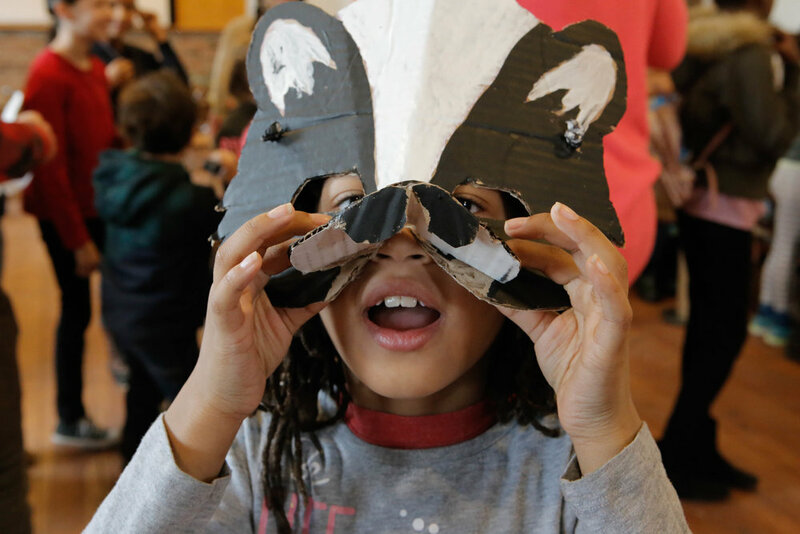 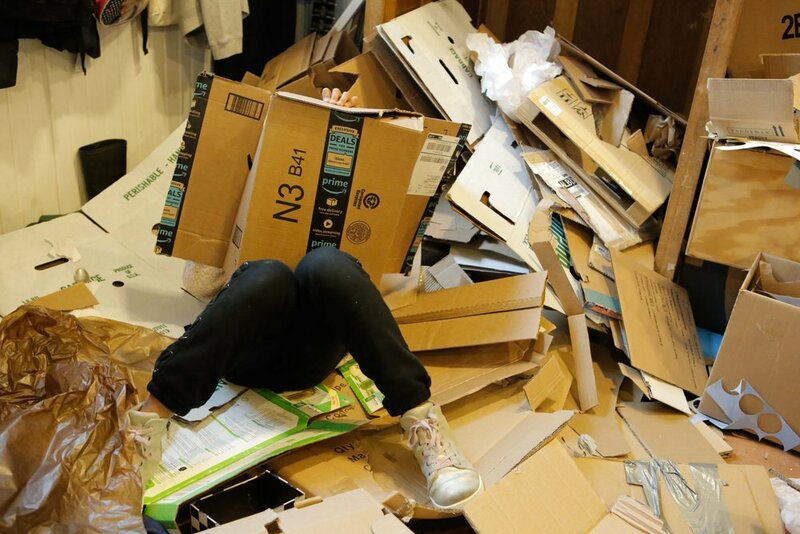 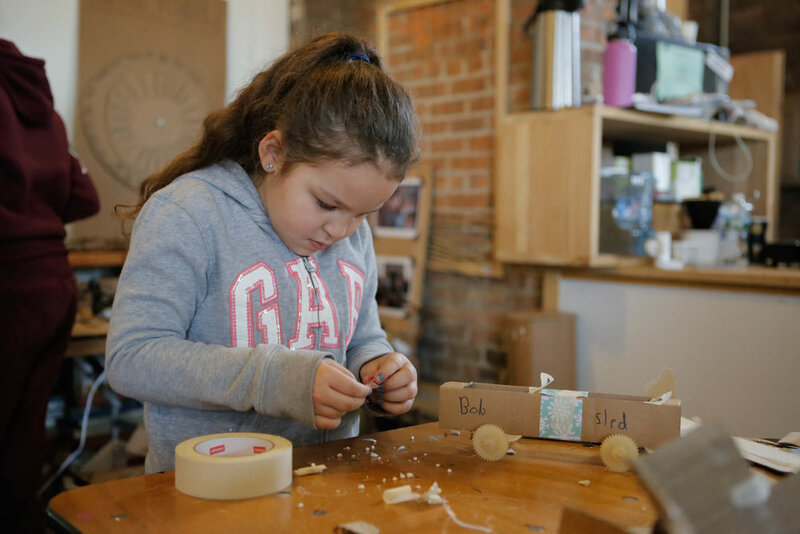 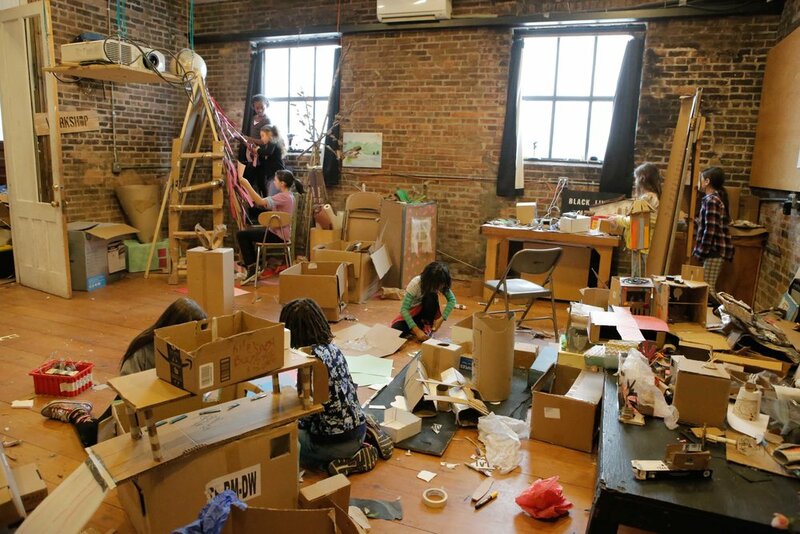 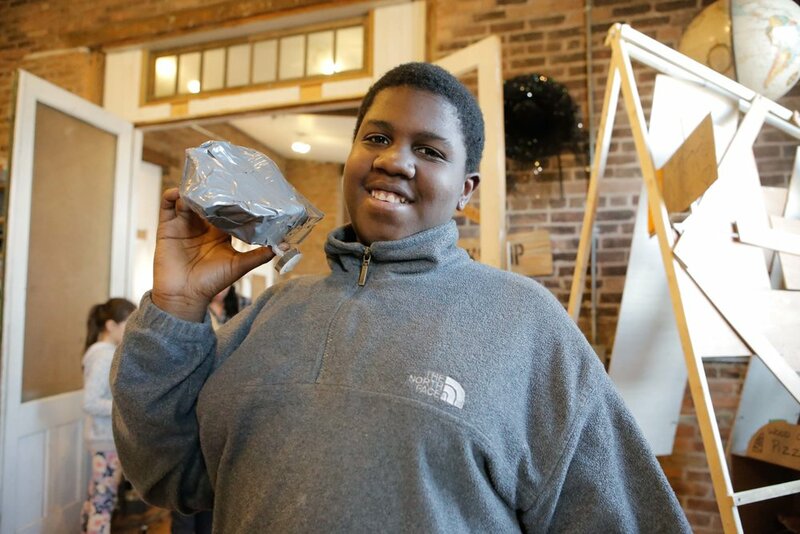 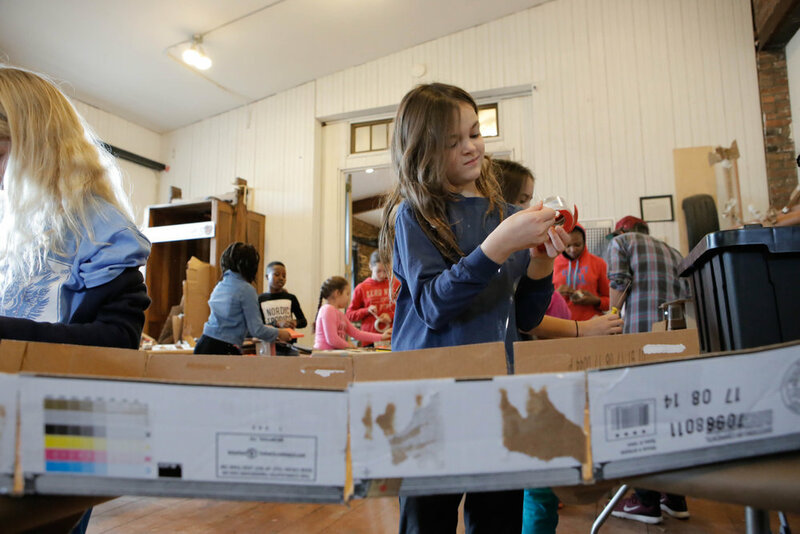 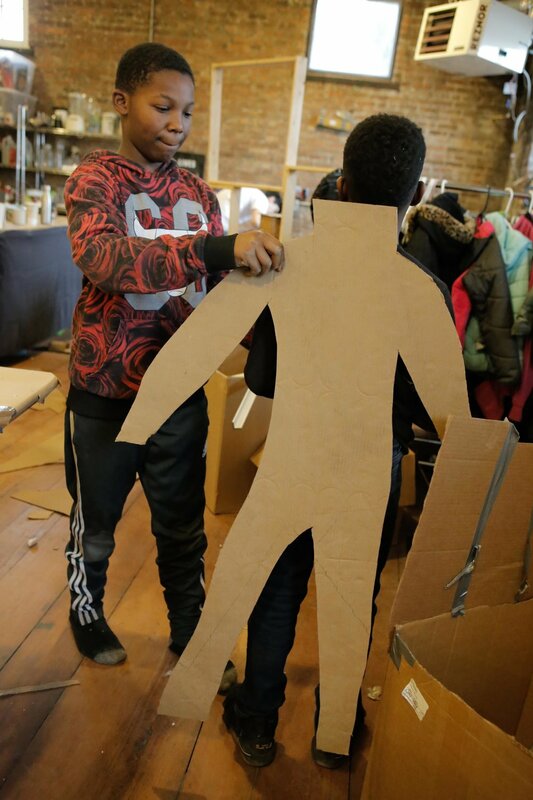 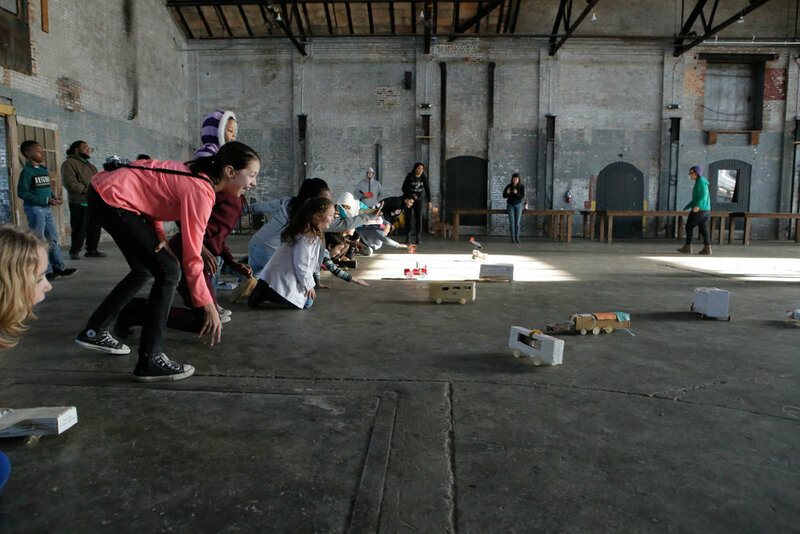 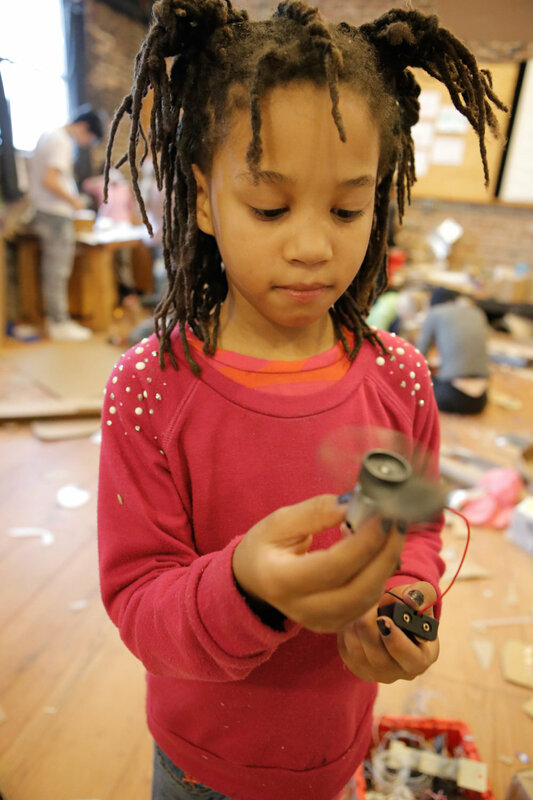 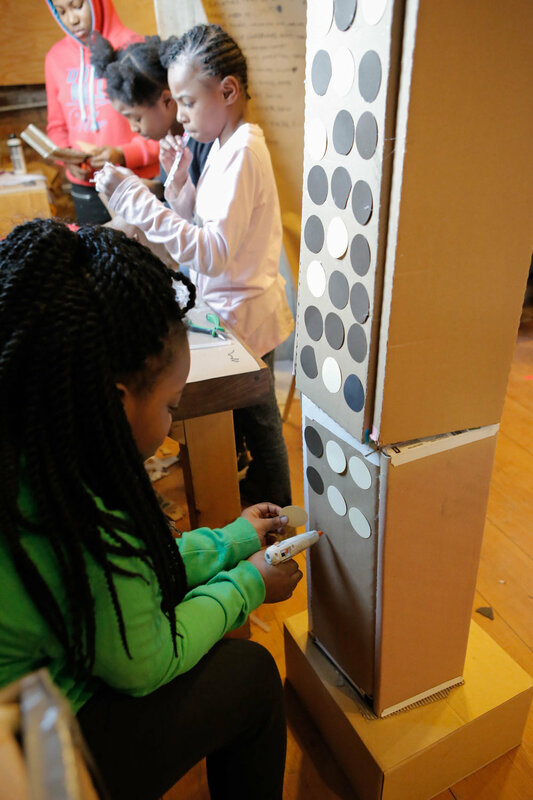 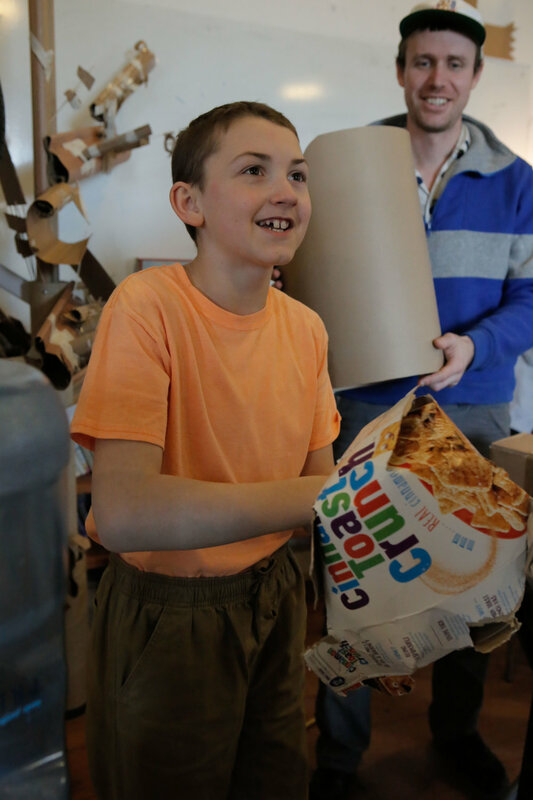 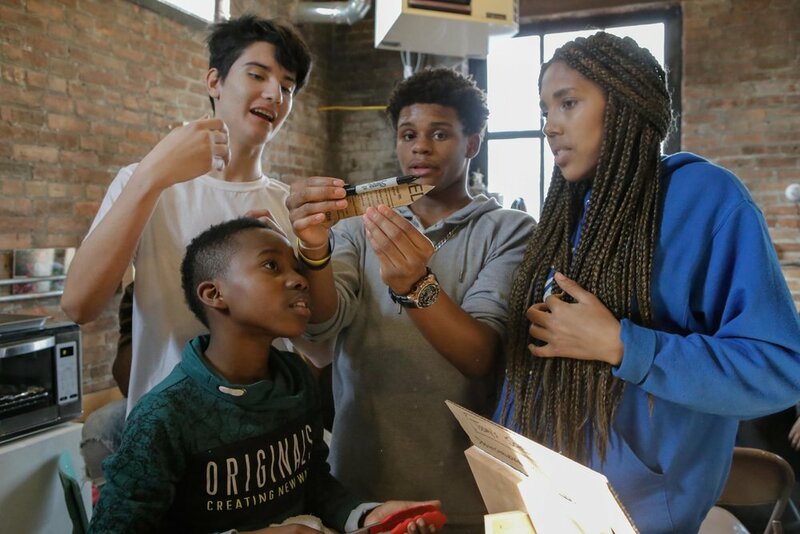 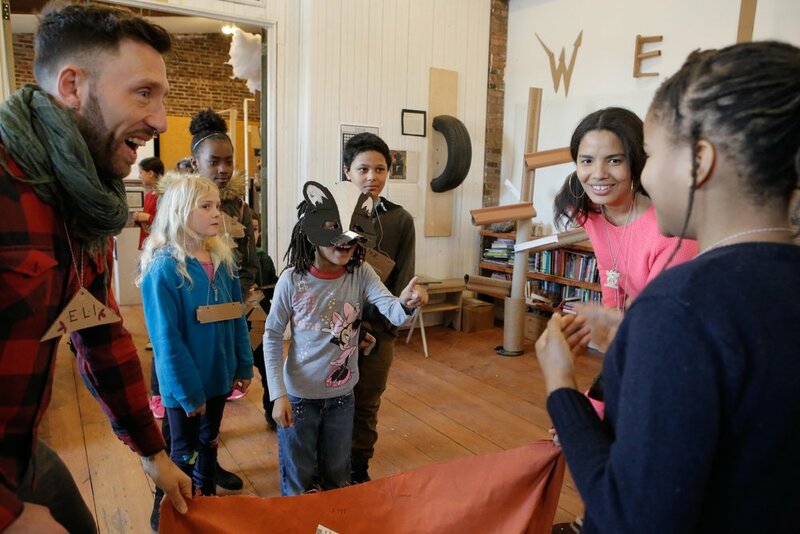 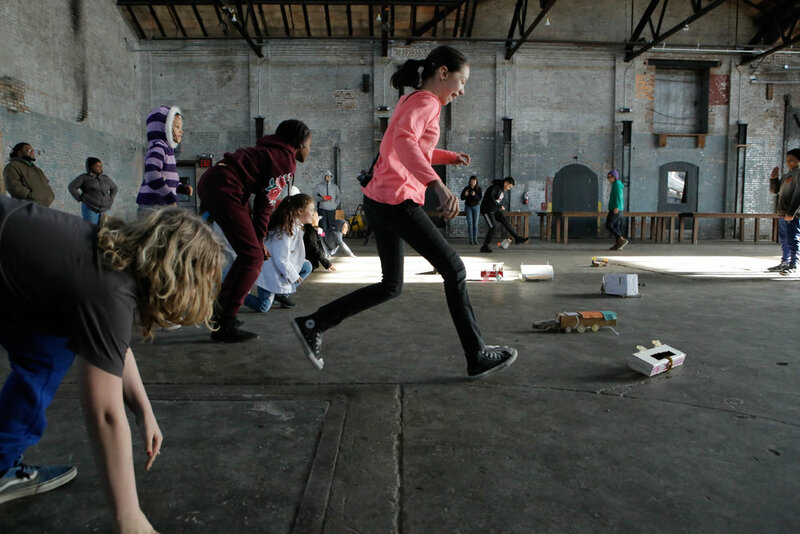 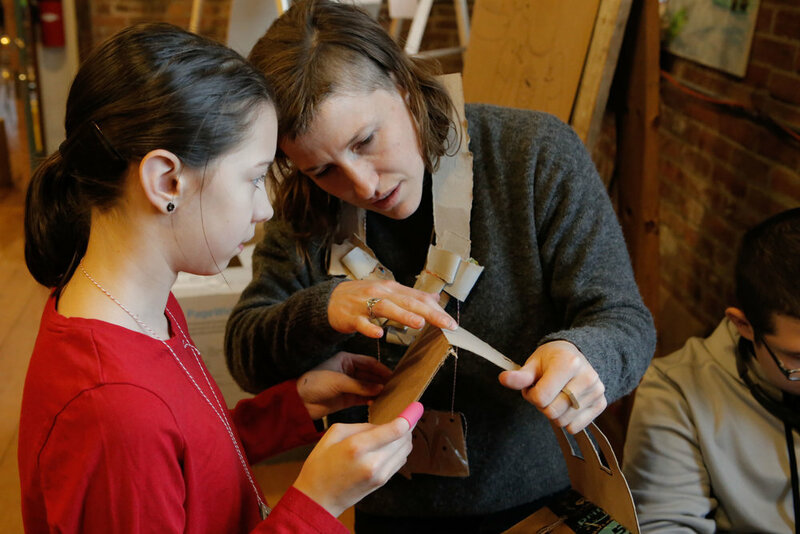 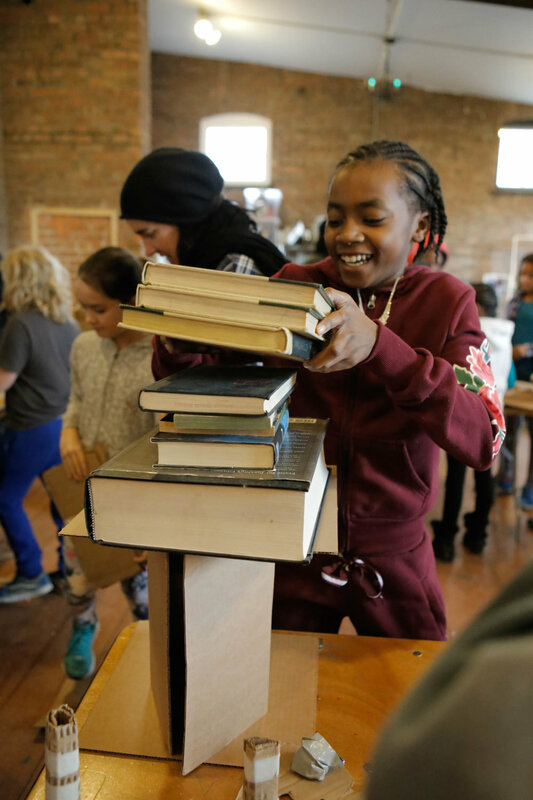 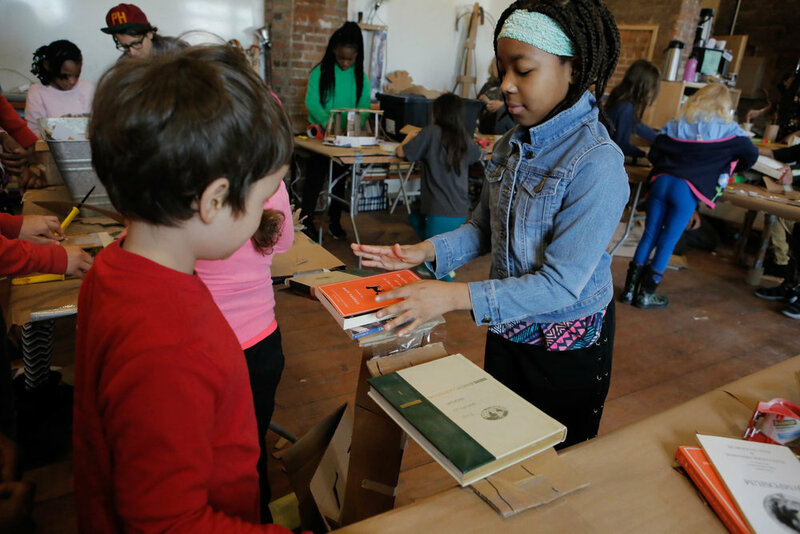 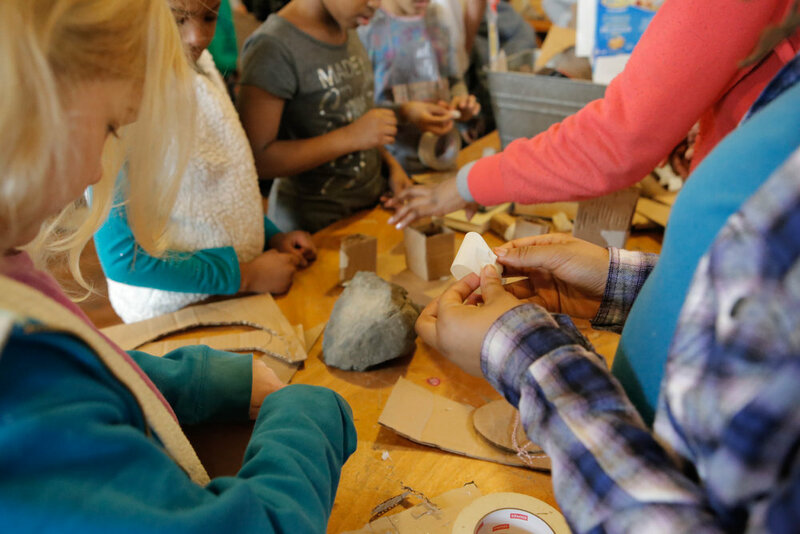 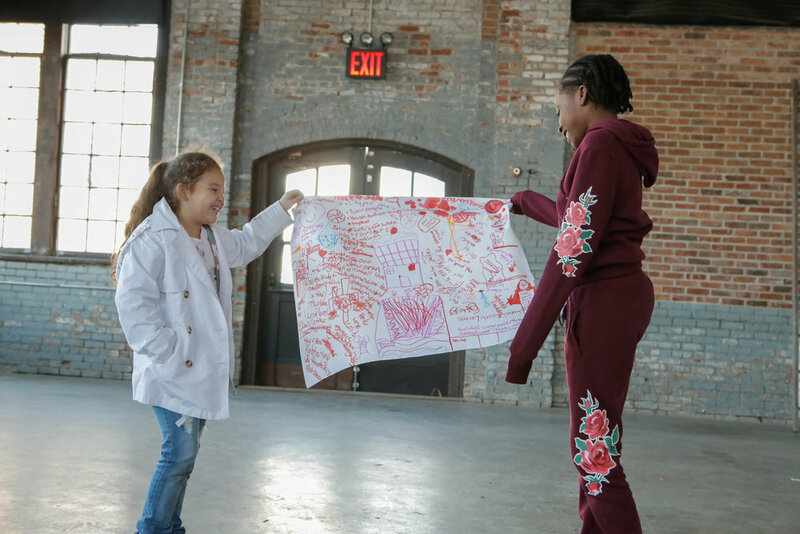 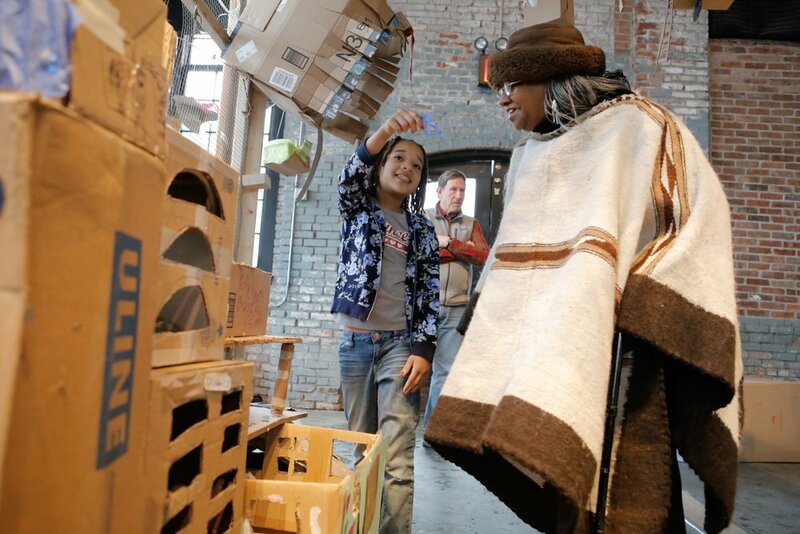 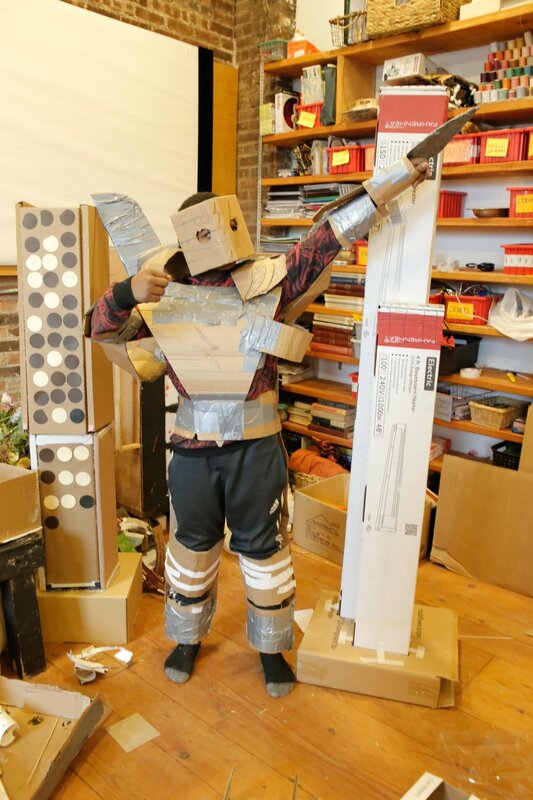 In this week-long immersive day camp, 30 youth collaborated with guest teaching artist Molly Allis to design and build a cardboard city and large-scale immersive installation. 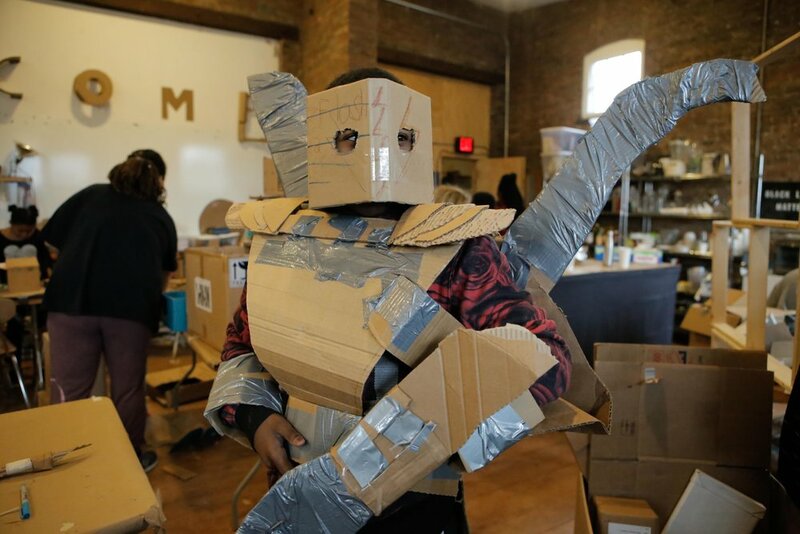 Our cardboard adventures began with a training in special cardboard techniques, and a flurry of construction adventures: we started by making wearable adornments, a 6-foot-tall tree house, and all the components of a cardboard café, complete with a cash register, silverware, a toaster, pizza oven, blender, and a full menu, including tacos, pizza, an orange, hamburgers, cupcakes, pie, bread, tea and condiments. 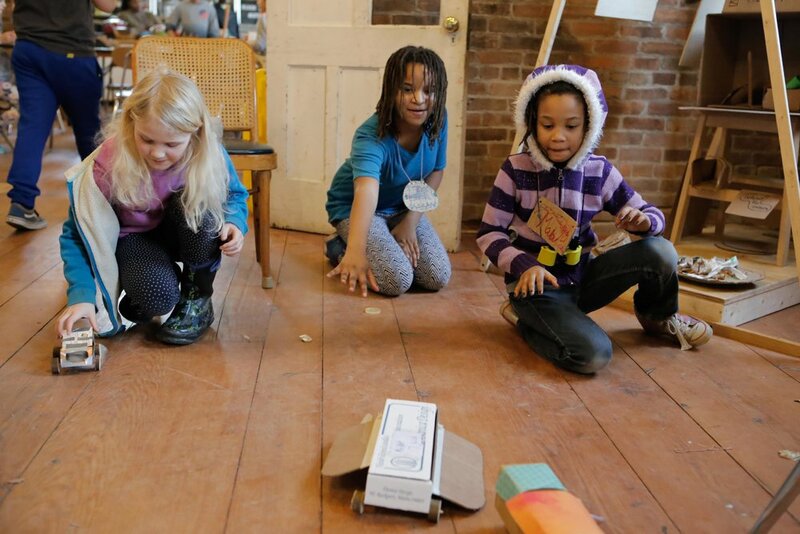 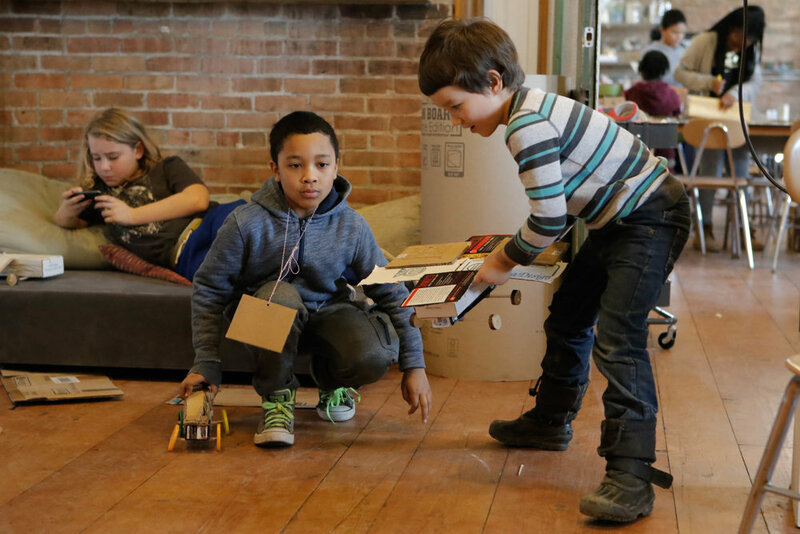 Then we shifted our focus to landscapes and moving vehicles, building our own axles and wheels, and all kinds of moving vessels: a hot dog bus, rollercoaster, flying machine, submarine, pickle sled, party bus, food truck, bobsled, Lamborghini, and more. 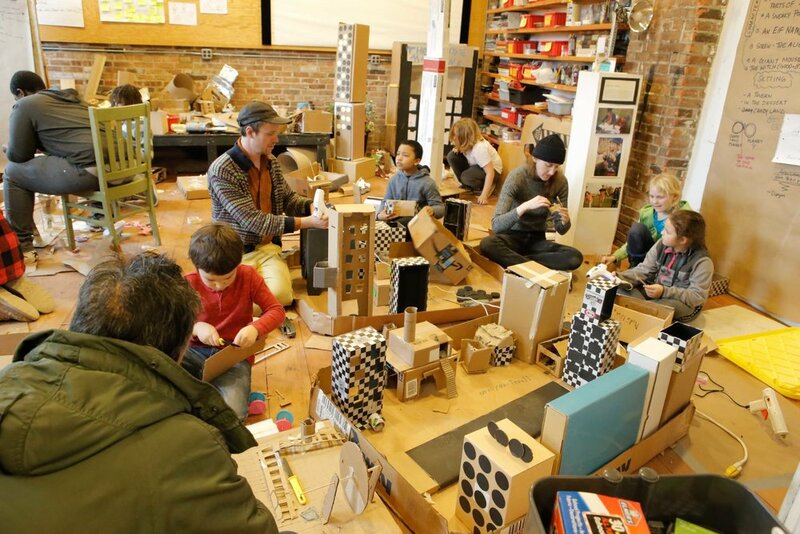 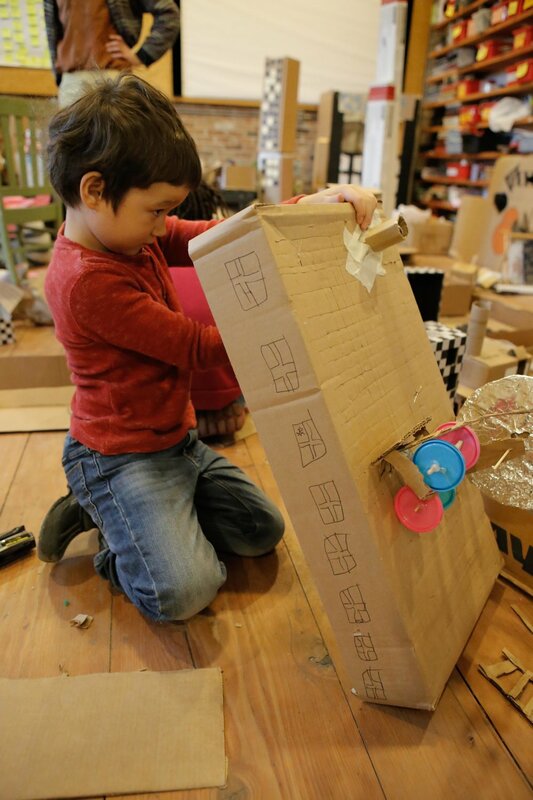 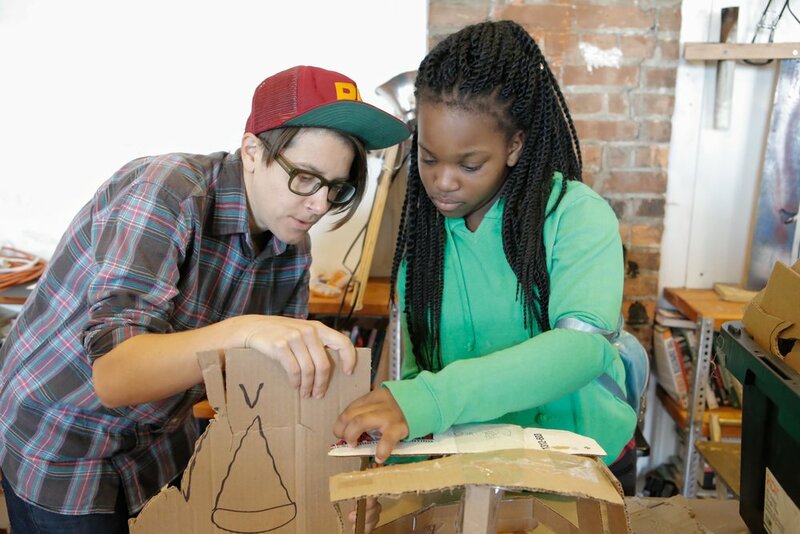 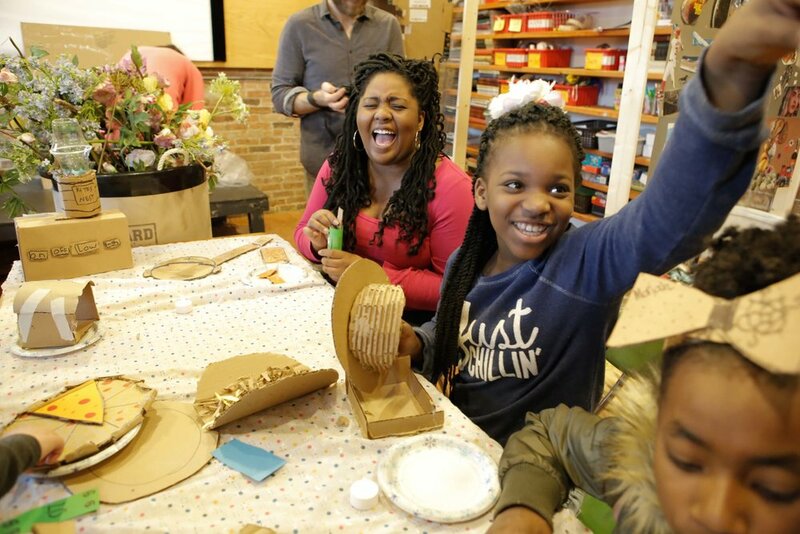 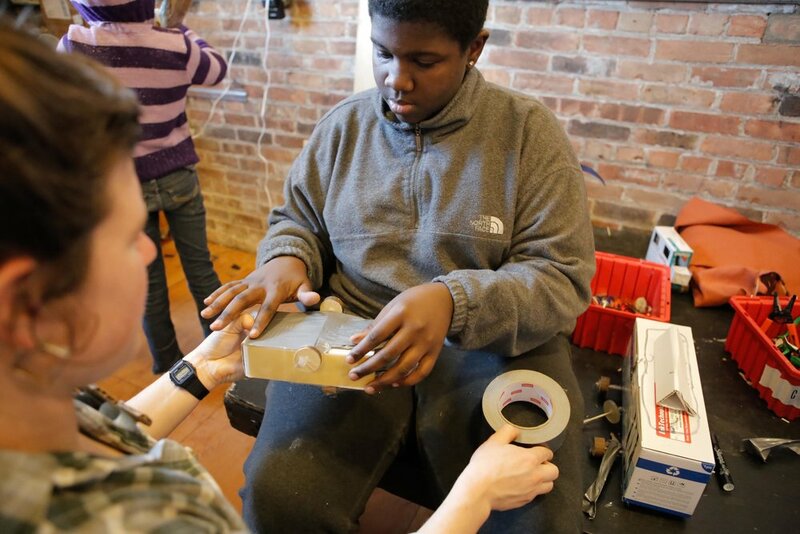 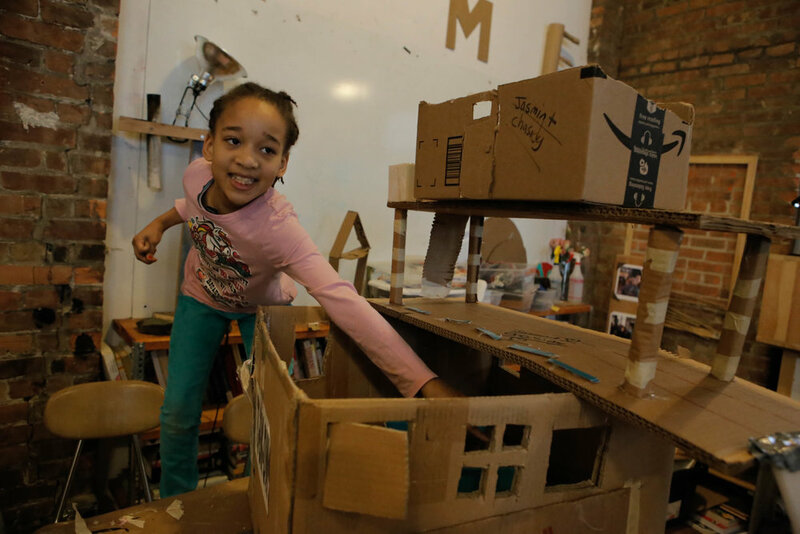 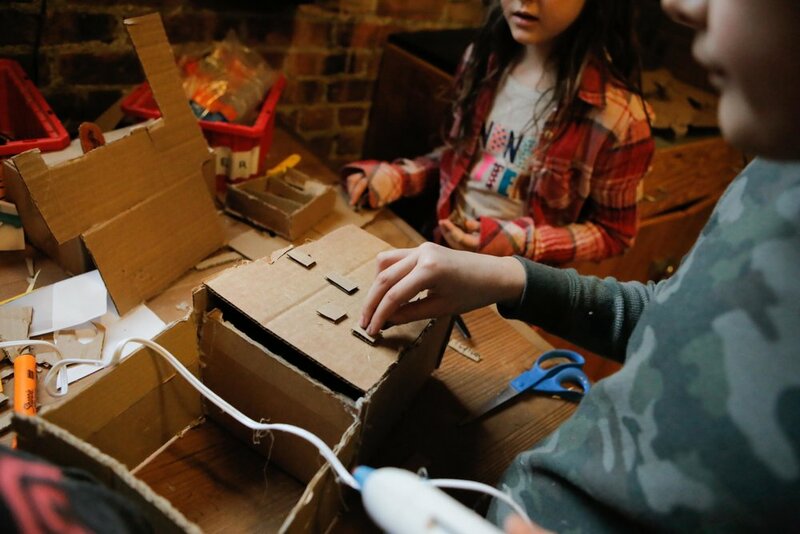 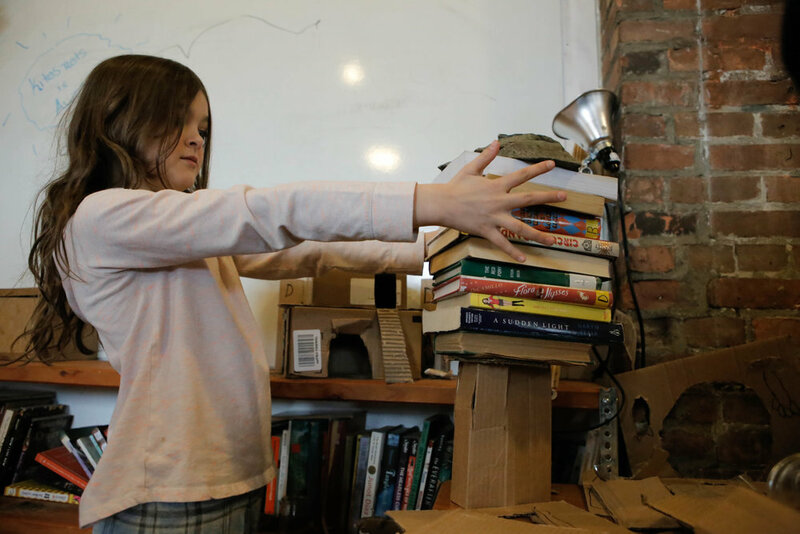 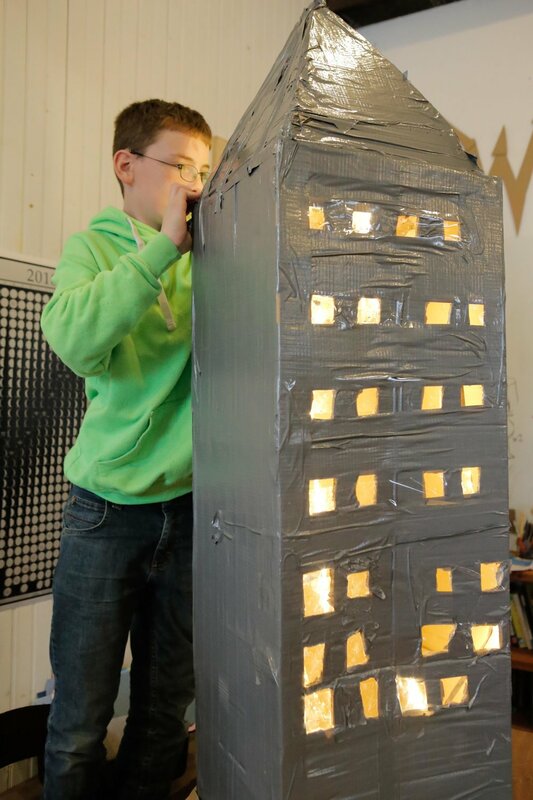 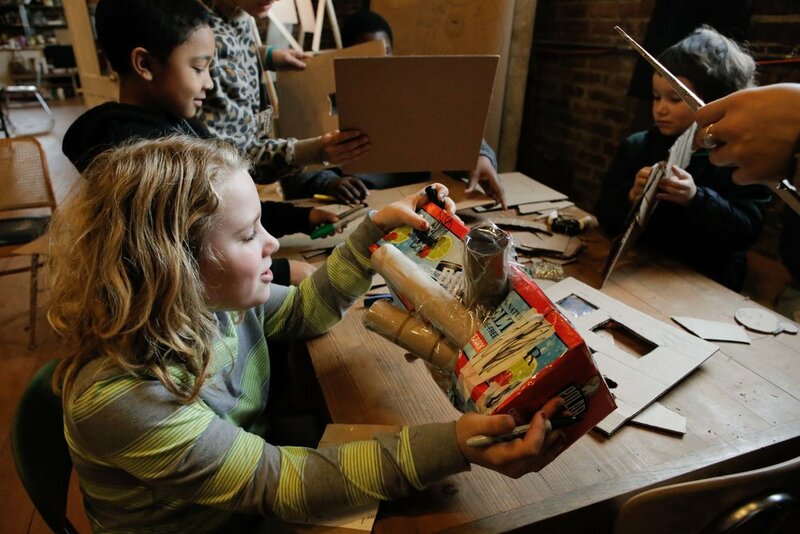 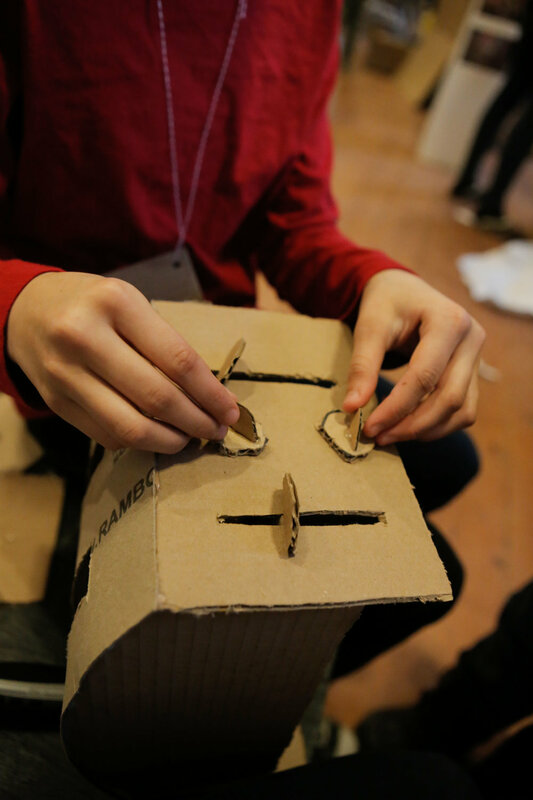 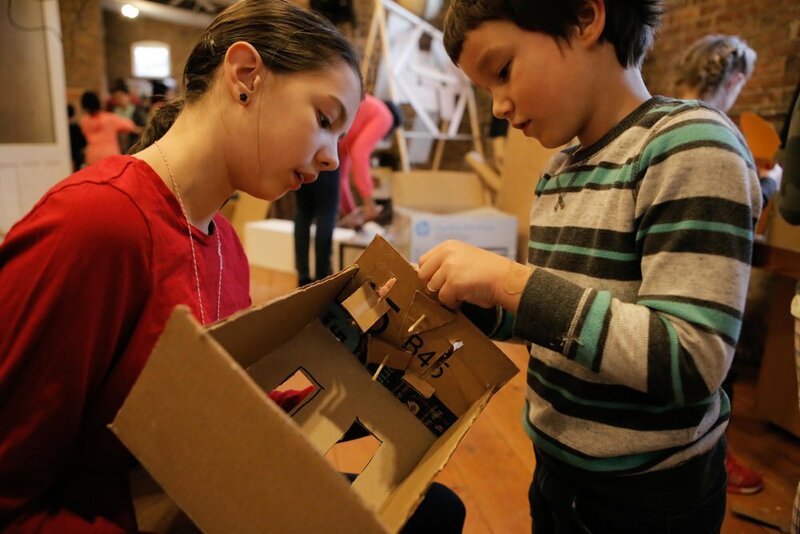 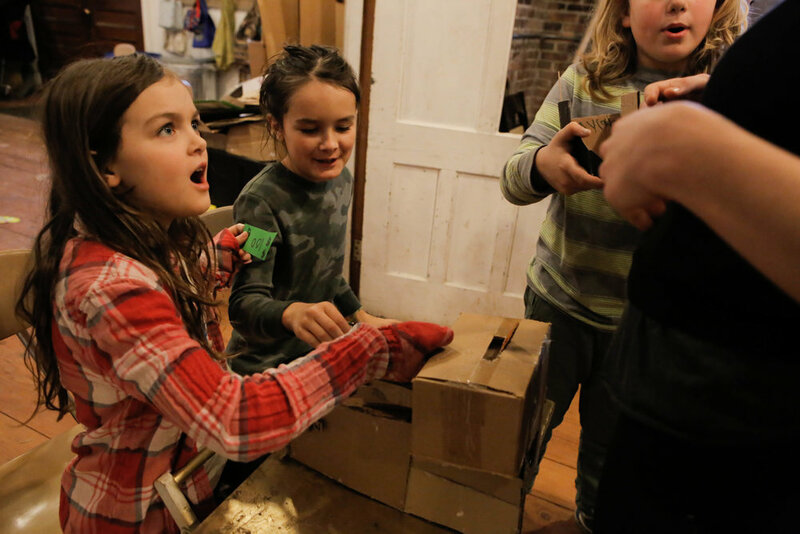 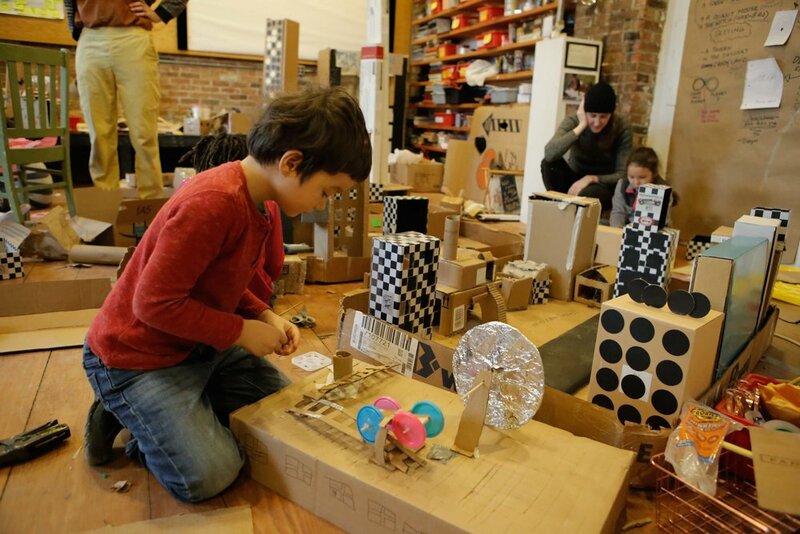 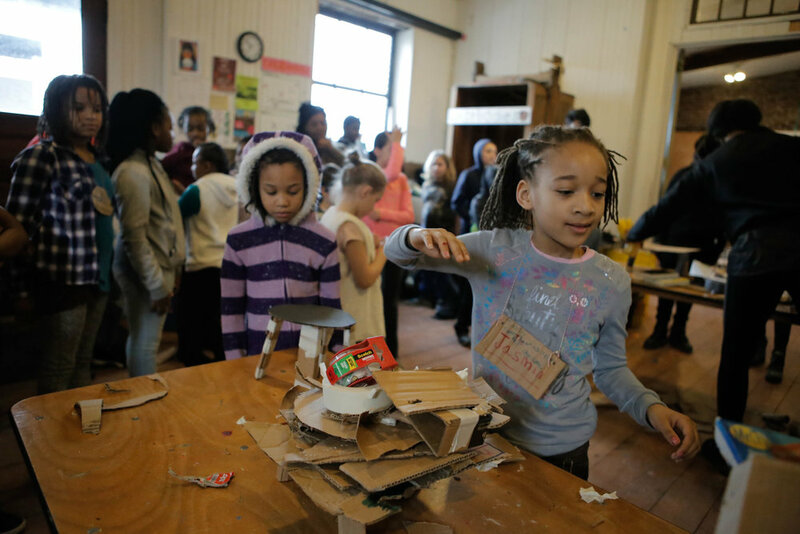 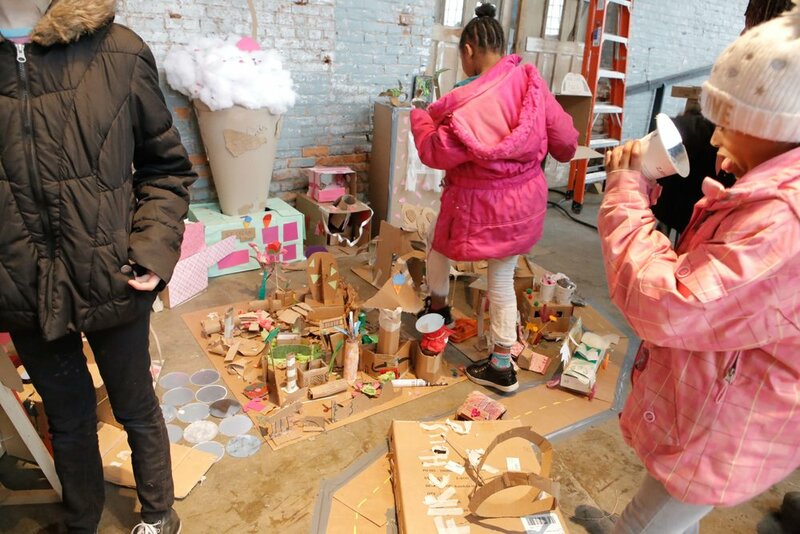 We all then collaborated to cut, mold, shape and hot glue the cardboard city of our dreams. 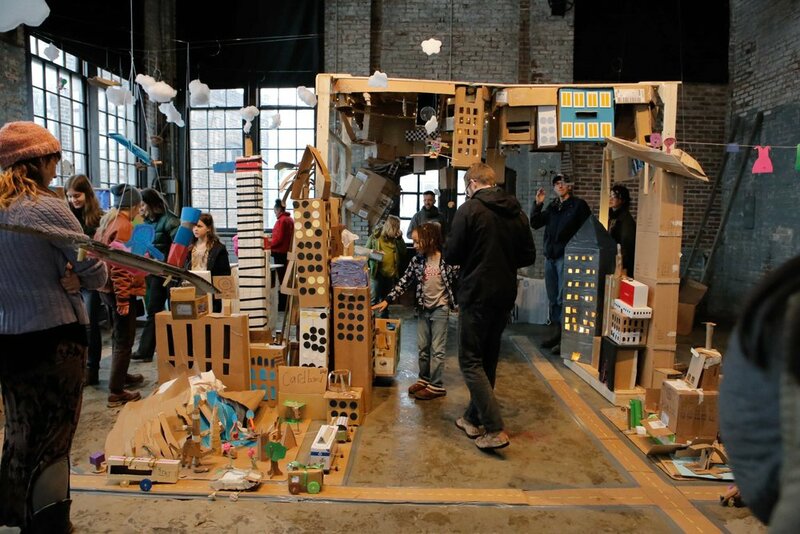 Our city, installed in the Basilica North Hall and made public on the final day of our camp, was a world beyond worlds: an unusual universe with hand-powered elevators and ice cream houses, slime cars and cotton candy clouds, a cardboard waterpark and superhero suits, motorized cars and bridges, helicopter and teleport machines. 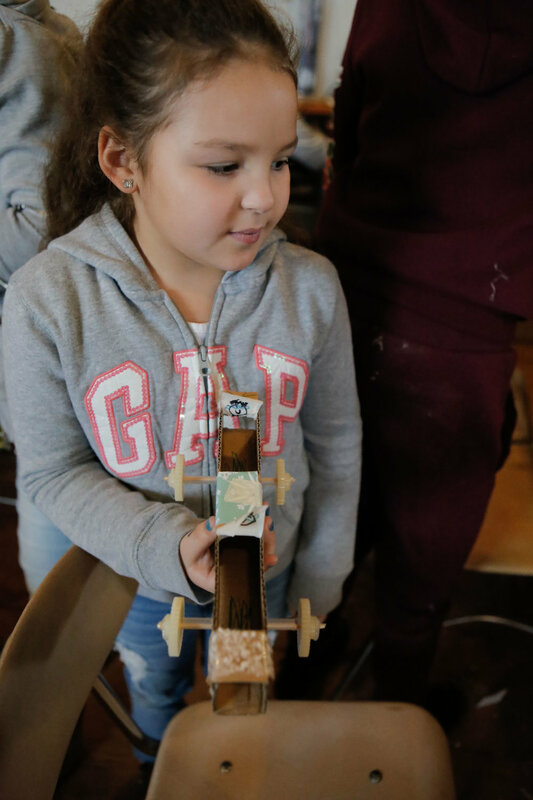 If you missed it, check out the photos below! 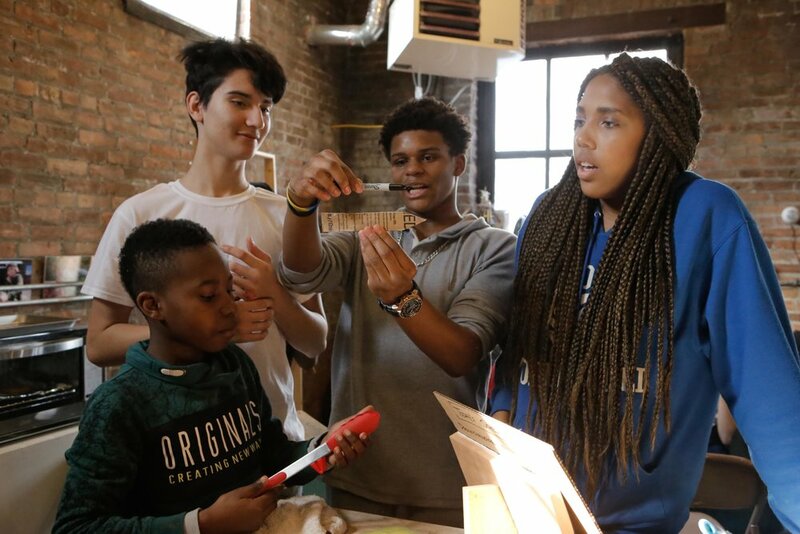 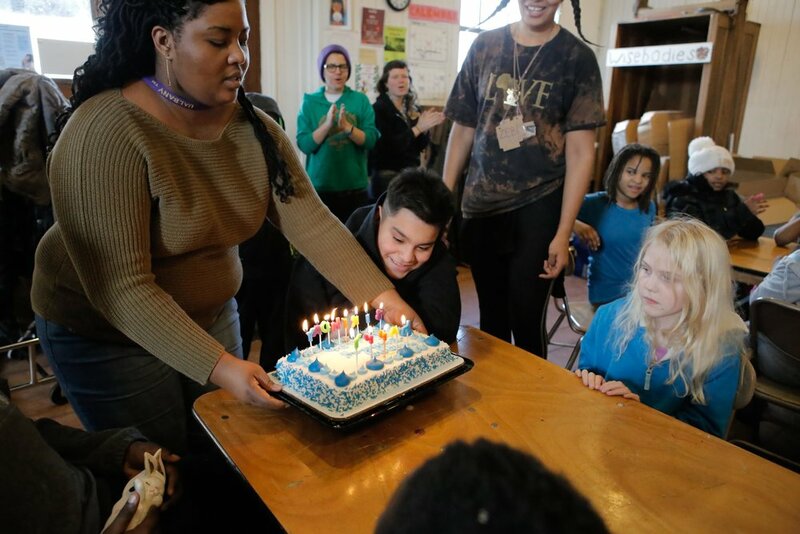 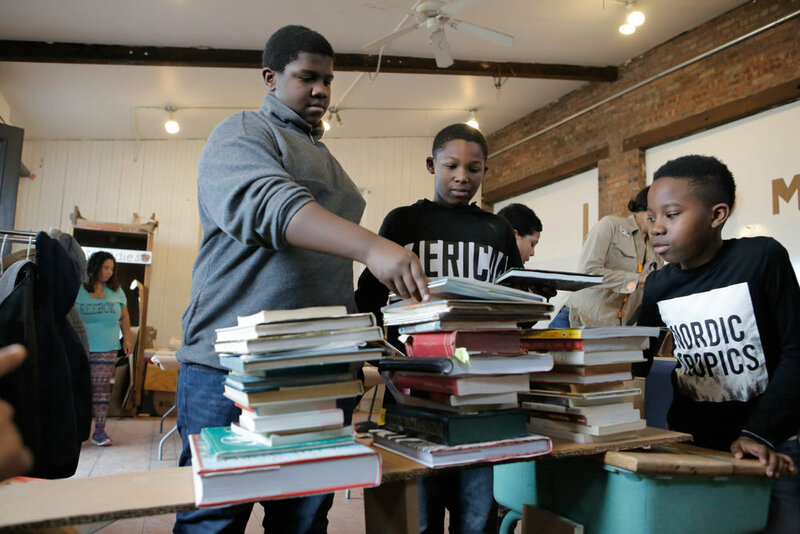 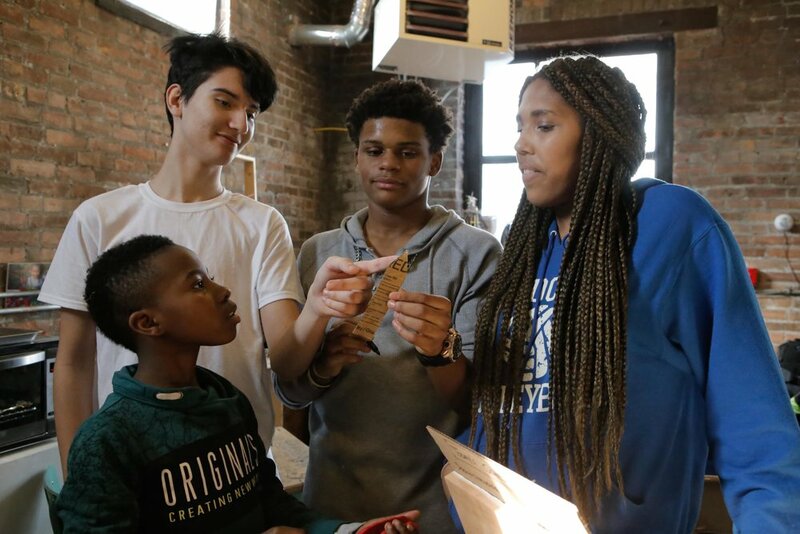 A special thank you to guest teaching artist Molly Allis, to our amazing crew of volunteers, and to the teen volunteers who spent their spring break mentoring and supporting their younger peers. 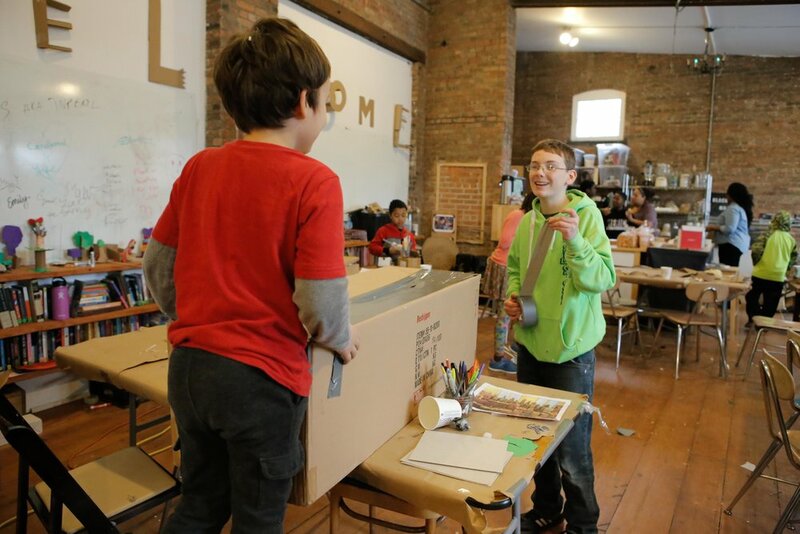 Thank you also to the Greene County Council on the Arts: this program was made possible in part with public funds from the Decentralization Program of the NYS Council on the Arts, administered in Columbia County by the Greene County Council on the Arts through the Community Arts Grants program.